By TLex From the depth's of the ocean, where on the 5th of July 2005 the Diving World Record with an immersion lasting nearly 10 hours at minus 330 meters was broken by a diver wearing the very first RALF TECH dive watch, the WR1 . . .
to the fields of combat, where the RALF TECH WRX "A" Hybrid KHB is the watch worn by the members of Commando Hubert, France's elite naval forces . . .
to the high seas, where the WRX "A" Hybrid will now also be worn by the majority of skippers taking part in the VENDÉE GLOBE 2012/2013 Race. Another proud moment in Ralf Tech's amazing history as they announce their participation with the race as its Official Timer. Congratulations, Ralf Tech! 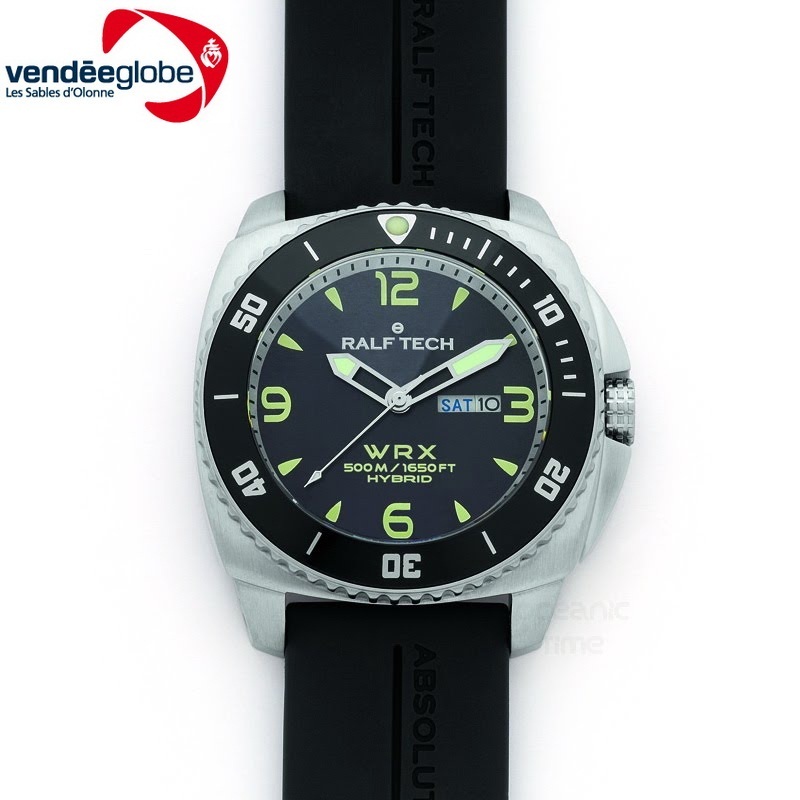 RALF TECH look forward to the feedback provided by the modern adventurers participating in the VENDÉE GLOBE race and are sure that it will greatly enrich the DNA and expertise of the brand ultimately benefiting the owners and fans of RALF TECH.